CHAFFEY JOINT UNION HIGH SCHOOL DISTRICT. Administrative Law Judge (ALJ) Marian H. Tully, from the Office of Administrative Hearings (OAH), State of California, heard this matter on August 16, 2012, in Rancho Cucamonga, California. Parents, assisted by advocate Peter Attwood, represented Student. Student and his Parents attended the hearing. The hearing was open to the public at Parents’ request. Attorney Jonathan P. Read represented Chaffey Joint Union High School District (District). District Special Education Director Kelly Whelan, and West End Special Education Local Plan Area (SELPA) Program Manager Amy Foody attended the hearing. Student filed a request for due process hearing on June 19, 2012. At the close of the hearing, the ALJ granted the parties’ request for a continuance to file written closing arguments by August 27, 2012. The record was closed and the matter was submitted upon receipt of written closing arguments on August 27, 2012. Did the District deny Student a free appropriate public education (FAPE) for the 2012-2013 school year by not offering to provide an iPad and software? 1. Student was 16 years old at the time of hearing and lived with Parents within District boundaries. At all relevant times, Student was eligible for special education and related services under the category of autistic-like behavior. 2. On August 17, August 22, and September 6, 2011, Student’s IEP team developed Student’s triennial individualized education program (IEP). Parents did not consent to the IEP. Due process complaints were filed by both parties and ended with a settlement agreement dated November 9, 2011. As the result of the settlement agreement, Student attended 10th grade during the 2011-2012 school year at Buena Park Speech and Language Developmental Center, a non-public school (NPS), with related services including adaptive physical education (APE), speech and language services (LAS), occupational therapy (OT), and transportation. Transportation to and from the NPS took about 50 minutes each way. 3. Student enjoyed school and he made educational and social progress during the 2011-2012 school year. Student’s modified high school curriculum grade report for the 2012 spring semester showed passing grades with minimal assistance in all subjects. 4. Student’s IEP team met on April 24 and April 27, 2012. Over the course of the two meetings, the team discussed Student’s present levels of performance (PLOP’s) and considered proposed goals and objectives. Student’s PLOPs demonstrated he had progressed on all goals. Student’s assistive technology included regular use of a weighted pen, a ruler for subtraction, and other manipulatives for math. Other assistive technology used as needed for written communication included special lined paper, or highlighted areas for printing, and a keyboard. Parents requested a speech and language assessment and a reading assessment at the April 24 IEP team meeting. At the April 27 IEP team meeting, Parents asked District to provide an iPad for Student, primarily to be used for educational applications while Student was riding the bus. At the conclusion of the April 27 IEP team meeting, the team agreed to reconvene at a later date to continue their review and complete the IEP. 5. On May 1, 2012, District sent Parents an assessment plan for speech and language, and reading. District also informed Parents that their request for an iPad to be used by Student during the ride to and from school was denied because Student did not need an iPad to access his curriculum. 6. The IEP team met again on June 1, 2012. The team developed 22 goals and objectives in reading fluency, vocabulary, phonics, and comprehension, spelling, visual/motor writing, math word problems and subtraction, vocational/career development, receptive language, pragmatic language/social communication and conversation skills, phonemic awareness, problem solving, peer and group interaction, three fitness/motor goals, and two goals directed towards self-advocacy and assertiveness. Parents requested a goal which would incorporate Student’s use of an iPad and renewed their request for an iPad. District offered to conduct an assistive technology assessment and informed Parents an assessment plan would be sent to them for their approval. The team agreed to meet again on June 7, 2012, to complete the IEP. 7. The IEP team meeting reconvened on June 7, 2012. The team adopted 24 goals in the areas listed in Factual Finding 6 and developed an individualized transition plan. Weekly related services to be provided included: two 30 minute sessions of APE; two 30 minute sessions individual and one 60 minute group session of LAS; one 30 minute session of OT collaboration; one 45 minute session of specialized vision services; one 30 minute session of individual counseling and guidance; and one 60 minute session of group counseling and guidance. One 30 minute session of group transition services was included on a monthly basis. Annual services included: one 60 minute session of group college awareness; one 60 minute session of vocational assessment, counseling, guidance and career assessment; one 60 minute session of individual mentoring; and one 60 minute session of job coaching. Continued placement at Student’s NPS was offered, with round-trip transportation from Student’s home to the NPS. Parents agreed to the implementation of this IEP. 8. The team again discussed Parents’ iPad request at the June 7, 2012, meeting. NPS staff attending the meeting agreed to provide an iPad for Student’s use at school as a supplemental enhancement to his school work. District gave Parents an assistive technology assessment plan. 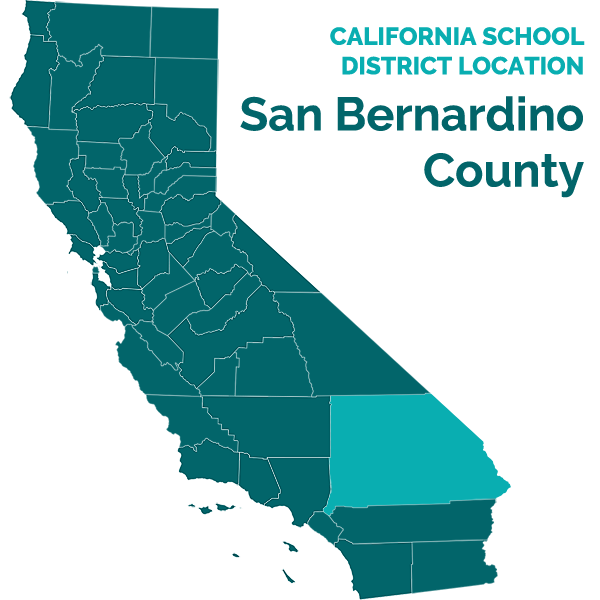 District planned to conduct the assessment at the beginning of the 2012-2013 school year because staff would not be available to conduct the assessment until then. Parent telephoned Student’s advocate during the meeting and he joined the meeting by telephone. Student’s advocate advised District that Student would file a due process complaint if District did not conduct the assessment right away. Student’s complaint was filed June 19, 2012. Parents consented to District’s assessment plan on June 21, 2012. 9. Student began to use an iPad at the NPS in July 2012. At hearing, Student, assisted by his father, demonstrated educational applications on his cell phone that he could access with an iPad. The applications contained various subjects such as math and biology but were not directly related to Student’s curriculum or program. Student’s mother and father described the benefits an iPad would provide Student i.e., their belief that an iPad would enhance Student’s learning ability by presenting educational material in an engaging format and make better use of unstructured time Student spent on the bus. Student did not need or use assistive technology to communicate or socialize. There was no evidence Student engaged in any problem behaviors on the bus. There was no evidence an iPad was necessary to access Student’s curriculum, do homework, or to obtain educational benefit from his program. 1. Student contends District should provide Student an iPad with educational applications “so that, among other things, he could profit educationally during his ride to school and back.” 1 District contends Student has an iPad for his use at school during the 2012-2013 school year, an assistive technology assessment has been agreed upon, and Student does not need an iPad to obtain educational benefit from his IEP. Sch. Dist. (D. Or. 2001) 155 F.Supp.2d 1213, 1230-32; T.B. v. Warwick Sch. Pursuant to Education Code section 56507, subdivision (d), the hearing decision must indicate the extent to which each party has prevailed on each issue heard and decided. In accordance with that section, the following finding is made: District prevailed on the issue presented.